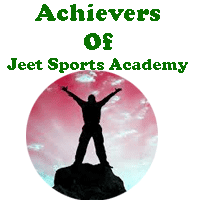 One of the best sports academy of Ujjain, Madhya Pradesh, The "JEET SPORTS ACADEMY" is regularly generating professionals in the fields of sports and students of this academy are regularly showing there talents world wide. He is one of the best and expert in karate, kick boxing, Tong il Moo Do, Wushu. 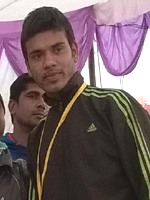 He has taken training from the best trainer Mr. Mukund Jhala and now he is running his own Sports Training Center. Because of his talent he has also got a chance to work as a COACH. A very talented, active, energetic student of "Jeet Sports Academy" who has not only showed her performance at national level but also won medals in international level. Her interview and news also published in news paper and TV channels. She has also got a place in GOLDEN BOOK OF WORLD RECORDS. 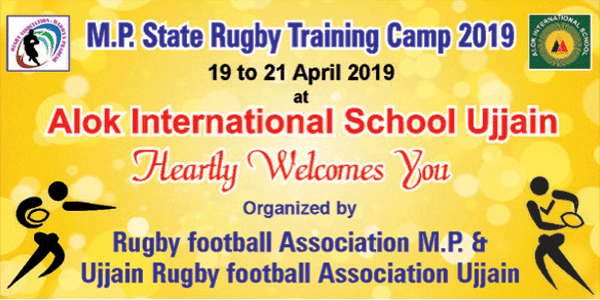 She is also getting training from Mr. Mukund Jhala(Black Belt, Trainer, Coach, Motivator). 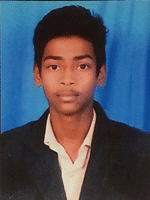 Another active student and achiever of Jeet sports academy of Ujjain is Sudhanshu Gothwal. 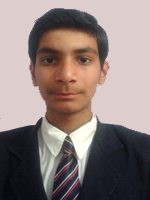 He is expert in jump rope and participated in many district and national championship of Jump Rope. He is also taking advance jump rope training from Mr. Mukund Jhala and continuously showing his talents in different shows. 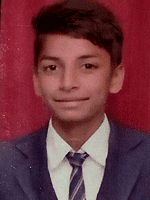 Ritik Ramani Father's Name Shri Rajesh Ramani, from shastri nagar Ujjain, is a champion of jump rope and regularling showing his talent in different competition. He is continuously learning new techniques of jump rope and showing is talents regularly. He has joined best sports academy of Ujjain(Jeet Sports Academy) in November 2015 and till now he has won gold and silver medals. 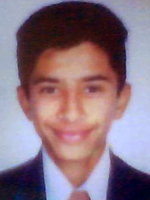 Anuj Patidar, a very active, talented, energetic, Black Belt Certified boy who has won gold, silver and bronze medals in district and national championship. He is taking advance training of Karate from Mr. Mukund Jhala and also giving training to Juniors. Shyam Singh Jhala, A very multi tasking student who is taking training very seriously from Mr. Mukund Jhala and have shown is award winning performance in different competition at national level jump rope competition. He belongs to Ujjain and wants to be star performer in coming years. Jeet sports academy wishing him best of luck. 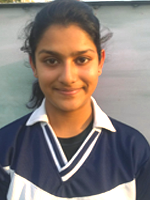 Anjali Sanghvi, another senior female achiever from Jeet sports academy, Ujjain, Madhya Pradesh. She has proved her energy, passion by showing her performance in different national level competitions. She is taking advance training in jump roper and also giving training to the new students in Jeet Sports Academy. She has a bright future in sports. Atul Pandey, A very passionate and national level awards winner Karate, Jump Rope and TONG-IL-MO-DO Student from Jeet Sports Academy. A regular practitioner and ambitious student who has shown is qualities in Karate, Jump Rope and TONG-IL-MOO-DO. 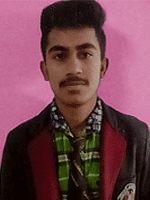 Akshay Singh Sisodiya, an ambitious student of Jeet sports academy, Ujjain, Madhya Pradesh, Regular practitioner of defensive art(Karate and and SQAY) and achieve many medals in National champion ships. 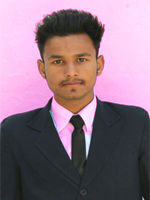 Sohail Patel is one of the one of the best jump rope student of jeet sports academy, ujjain. He is a national level player and has achieved gold medals, silver medals, bronze medals in different championships. 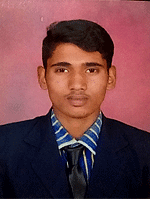 Jitendra Singh Chouhan is one of the multi talented student of Jeet sports academy, Ujjain who has achieved gold medals, bronze medals in different sports. He has participated in National kick boxing championship in Kolkata, participated in 7th Junior TONG IL MOO-DO championship in Ujjain etc. He is regularly taking training in advance techniques of defensive arts. 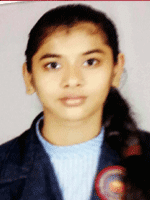 Tarushi Jain is a very talented and expert in jump rope, She is continuously taking advance training in jump rope and showing her talents in national level championships. 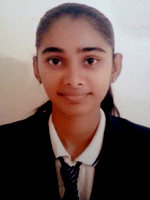 She is a passionate and ambitious student of Jeet sports academy.